Deacon Garrett N. Harvey obituary. Carnes Funeral Home. 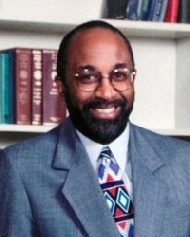 Deacon Garrett N. Harvey was born on June 02, 1952 in Houston, Texas to Rev L.V. and Carol Harvey. He attended school in Houston, Texas and graduated from High school in Brenham, Texas class of 1970 and he later attended Blinn College and Sam Houston State University majoring in Criminology. Garrett gave his life to Christ at an early age at St. Peter’s Baptist Church under the leadership of his father Rev. L.V.Harvey. His greatest joy came later after he rededicated his life to Christ and united with Greater Mount Calvary Baptist Church under the leadership of Pastor Timothy Allen. Garrett was a very faithful, loyal, dedicated, patient and trusted servant. He loved God, his family, his Pastor and First lady and his church family. He had a gentle and humble spirit, a kind heart and always wore a smile. He never met a stranger. Garrett was very active at Greater Mount Calvary; he served as a Sunday School Teacher, sang with the male chorus and served where ever he was needed in the church and served in the community doing various Health Fairs. He touched a lot of lives and taught us all how to live. He worked tirelessly with the American Heart Association on the African American Task Force, Jump Rope and Hoops for Heart while waiting for a Heart Transplant. On August 07, 2010 Garrett received a “new” transplanted heart; he was # 175 at UTMB. He was so grateful for this blessing. Then on Sunday November 11, 2012 Garrett was ordained as a “Deacon” by Pastor Allen. He was overjoyed to serve in this position. Garrett “fought a good fight and has finished his course”. To God we give all the Glory for the life and legacy of Deacon Garrett N. Harvey. Deacon Garrett N. Harvey is preceded in death by his sister Lavernia Newsome, grandparents Nathan and Elitte Harvey, Big Mama, Garrett Grant, uncles Jesse, Opal and Leon Harvey, mother-in-law Cedele Allen. He is survived by his loving and devoted wife Sandy of Webster, sons Christopher (Anna), Stephen Hines (Jennifer), daughter Aimee Regine, granddaughters Lejend and Nahla all of Houston; parents Rev. L.V and Carol Harvey, sisters Cynthia McCoy, Cynthia Regina Harris (Michael), god-sons Samuel Leelyn Harrison and David Brown II, sister-in-laws Laura Johnson, Shirley Johnson (Thomas), uncles/aunts: Haskell Harvey (Ann), Nathan Harvey (Evelyn), Leola Moore, Vina Coleman (Vernon), a host of nieces/nephews: Carol Colbert (John), Arthur McBride (Tasha), Andre McBride (Veronica), Travis Newsome (Nakita), Nathaniel Newsome; Tanya Brown, Annemarie Render, Veronica Cloud, Joan Mack, Thomas Johnson Jr., Mariah, Chris, Adrian, John Carlos, Cason, Taylor, Arthur Caleb, Noah, Ana, Kendalyn, Coral, and Nickolas’. Special family Rev. and Mrs. Kenneth Tolson, Jesse Mays, David Brown Sr., Joe and Mary Davis, Torello and Carol Ann Micheletti and the Greater Mount Calvary Baptist Church Family and numerous cousins.